55 movies from 22 African countries, panel discussions with 17 guests from Egypt, Algeria, Cameroon, Marocco, Congo, Rwanda, Tunesia, USA, France and Germany as well as a Hiphop dance theatre performed by migrants from Strasbourg as the grand final – this all offers the festival „Out of Europe XI – New films from Africa“ by FilmInitativ Köln e.V. The festival will take place from 19th of September to 4th of October 2010 at the Filmforum NRW of the Museum Ludwig Cologne (and at five other locations) and presents, besides the awardees of the panafrican film festival FESPACO 2009 in Ouagadougou (Burkina Faso), new discoveries from other international festivals – like those in Carthago, Zanzibar, Durban, New York, Brüssel, Tarifa and the Berlinale. The spectrum of the genres demonstrates the diversity of the African cinema and ranges from comedies and love stories, thrillers and science-fiction to political explosive documentaries and video Installations. 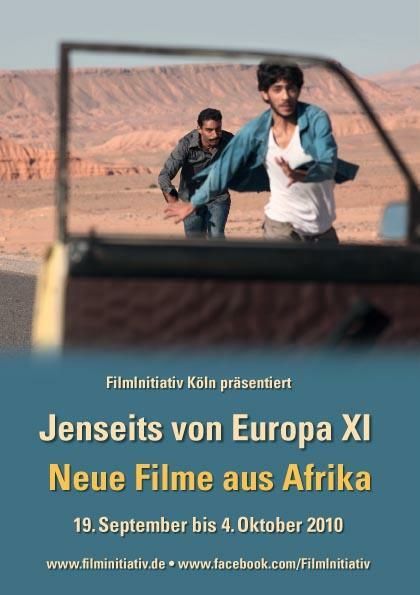 One of the short-film screenings will present the winners of a directors competition, which was announced by the Goethe-Institut in Africa and which results were presented in 2010 under the title „Latitude“. From Egypt, there will be a film reel with 19 movies from different African countries which shows the history of African animation movies including one of the first African cartoons ever produced in 1937. The festival also provides a cinematic preview for the exhibition about African mega-cities, which will be presented by the Rautenstrauch-Joest-Museum Cologne under the title „Afropolis. City, Media, Art“. 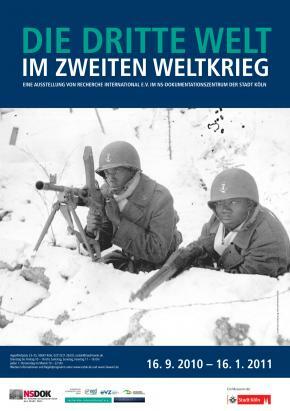 presented, pertaining to the (touring)exhibiton „The Third World in the Second World War“ can be seen, which will be shown by the NS-Dokumentationszentrum of the City Cologne (a museum on the local NS-history) from September 15th to January 16th 2011. Special screenings for schools in the morning, performances of the dance and music group BAOBAB from Ghana, a live-act by Tamika & Mamadee - part of the anti racist musican initiative „Sisters“ - as well as readings of African authors will complete the festival program. The performaces of the french Hiphop-Dance Theatre „The forgotten liberators“ (A nos morts) will be provided with German uptitles. For the theatrical release of the documentary „Kinshasa symphony“ the conductor of the first Congolese orchestra, Armand Diangienda, has also been invited to Cologne.